Working with a 3PL, or third-party logistics, has its advantages and disadvantages. Here’s your guide on working with third-party logistics. Getting to the place in your business where you are considering the use of a third party logistics (3PL) firm is a noteworthy achievement. But now that you are here, you may be wondering how to select the right one. We can help you think through what to look for, how to measure success, and even how to avoid some potential pitfalls. The last thing you want is for the relations with the company you’re relying on to safely store and ship your product to become contentious. The costs associated with adding simple warehouse space can be prohibitive. When you begin to calculate cold storage, packing/shipping requirements, and the cost of the land you want to build on, using a 3PL becomes a very attractive option! There is an industry buzzword that describes what to look for in your 3PL as it relates to size: scalability. We’ll jump on the bandwagon and use it here too. It basically means you want to find a company that has the capacity to grow with you. More than that, they need to have the willingness and resources to grow with you. So, scalability is about more than size. Depending on your growth plan, you want to consider a company that you can still work with 3-5 years from now. Jumping into an agreement without a mutual understanding of where you want to be in a few years time can be a recipe for disaster. Avoid this minefield by asking questions and being transparent up front. Another deciding factor should be if the 3PL you’re considering has experience in your industry. For instance, if you are shopping for a company with cold storage capabilities, you want to make sure they also have food storage experience. Some companies will have ample cold storage space, but their focus could be on something else entirely (pharmaceuticals for instance). You want someone familiar with the rules and regulations for your specific industry. Reputation: Does this company have a good one in your industry? Do they have a track record of success? Customer Service: Are they responsive to claims and straightforward about failures? Timeliness: Do they meet agreed-upon deadlines? Will they make up for mistakes when they occur? Let’s stop a moment and look honestly at your expectations. Whatever 3PL you choose will make mistakes. They will let you down in some way because you are still dealing with humans. That’s OK though because you might make a few along the way as well. Now we’ll give you some tips on what you can do to make sure your provider is living up to the things outlined above. There are several Key Performance Indicators (KPI’s) that are recognized as industry standards. Quality Control: This can be measured in picking accuracy, invoice accuracy, etc. Customer and Employee Surveys: Often referred to as VOC’s or VOE’s, this feedback can help inform future corrective action on current deficiencies. Regulatory Compliance: Third party data from places like OSHA and the FDA are great sources for a KPI because of their relational distance from either you or the 3PL. Make sure these indicators are added in writing and clearly understood by both parties. We’ll get into the importance of communicating clear measurables in the next section. So many 3PL relationships fall apart because of poor communication that it is worthwhile to review some standards to follow. For the first attribute of good communication, let’s look at respect. Think about the golden rule: “Do unto others as you would have them do unto you.” Simple enough, right? Not always an easy adage to remember in the heat of negotiations. Don’t start off your relationship with this key new portion of your supply chain by demeaning them or taking their efforts for granted. Either attitude can be a recipe for failure down the road. Set clear goals and spend the time to define them. That does NOT mean you need to add a 40-page appendix to your contract with all of the terms and definitions. Some places do that, but that’s not what we’re suggesting here. Even with seemingly concrete measurables like what was outlined in the KPI’s earlier, there are aspects that can be open to interpretation. Especially if leadership or decision makers transition into new roles or out of the company completely. Effective communication is a combination of respect, clearly defined terms and goals, and frequent follow-up. Quarterly business reviews are great. They can help you work through operational issues you may be having as well as allow for a time to look at some of the measurables in the contract. However, in order to be truly effective, it would be good to assign a liaison that acts as a representative between the companies and that touches base with your provider on a weekly basis (if not more frequently). That liaison will have a better feel for how well the relationship is progressing than you will ever gain from a QBR. 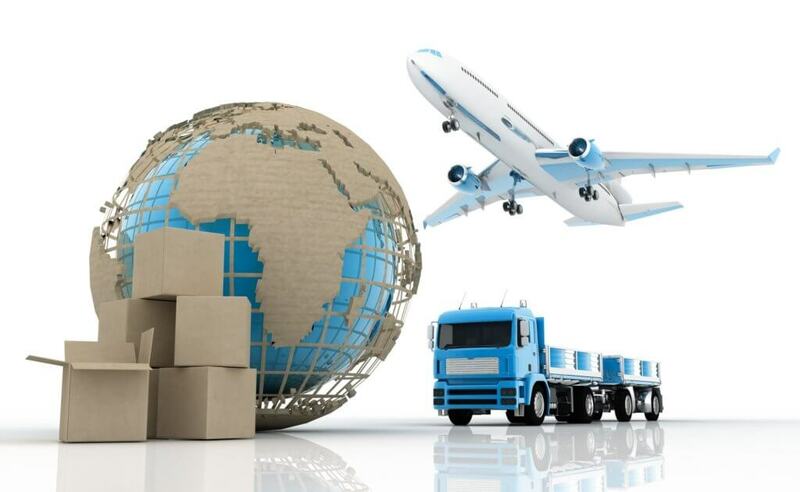 Working with a logistics provider can be a big step for your business. They often provide a solution to either building on to an existing warehouse space or to reaching an area you don’t have any foothold in at all. Some companies will even use a 3PL in Hawaii to help them service the islands there more quickly and efficiently than shipping everything by air. That’s a set of contracts it would be fun to negotiate in person! By following the steps outlined above you will have a great foundation to build on as you move forward into this new level of productivity. Contact us today if you would like some help or if you have any questions!